HY-T Torque Team Classic belts are built strong with Vytacord tension members. This provides the high-strength, high-horsepower rating capacity needed to effectively transmit drive power. It's tough enough to tolerate the misalignment that quickly destroys belts. HY-T Torque Team Classic belts are for shock load applications. 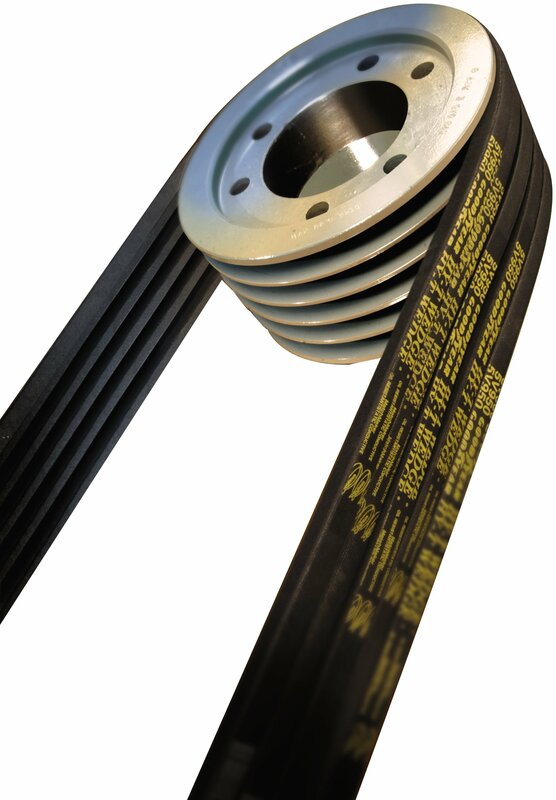 Ideal for pulsating loads, high-capacity drives and short center heavy-duty drives.High Strength for Long Life Continental ContiTech Torque Team Laminated V-belts feature our powerful Vytacord® tensile members. Vytacord provides high strength and horsepower ratings, yet serves as a more forgiving reinforcement that will give under excessive tension instead of snapping. That means increased belt life. See pulley section and if you have any question Contact Us.